BARCELONA, SPAIN - JULY 13, 2015: View of Barceloneta Beach. People are swimming. hd00:30BARCELONA, SPAIN - JULY 13, 2015: View of Barceloneta Beach. People are swimming. 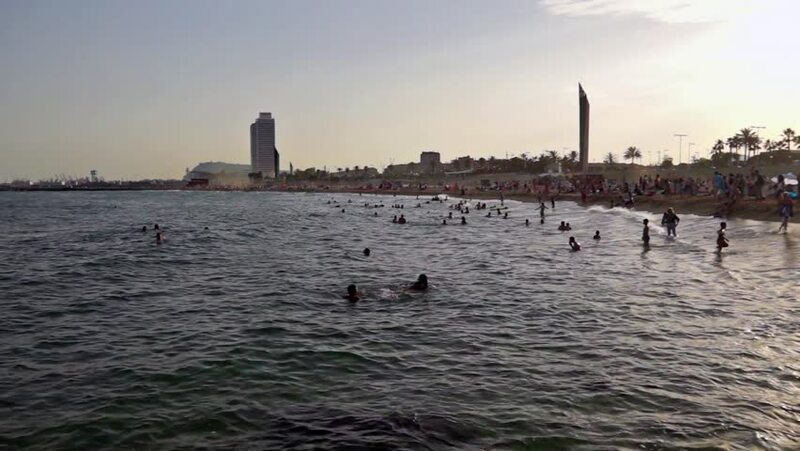 hd00:30BARCELONA, SPAIN - JULY 13, 2015: Timelapse of Barceloneta Beach. People are swimming. hd00:16Vene?ia. Beautiful sunset overlooking the bay and the old town.